Roulette is one of the most played casino games at online casinos. 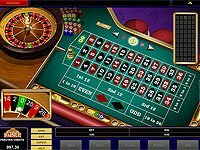 There is an advantage of playing at online casinos and that is that most of the different versions of Roulette are usually available at each casino. The two most common versions found are American Roulette and European Roulette. The rules of these games are based on the rules of the land based casino in America and Europe. There is one important difference between these two variations of online roulette. The European Roulette wheel has 37 numbers total from 1 to 36 with a 0. The 0 supplies the house edge. All bets in European Roulette lose except those on 0, this gives European Roulette a house edge of 2.7%. The difference with American Roulette is that the wheel consists of 38 numbers 1 to 36 with a 0 and 00. All bets in American Roulette lose except those on 0 or 00. As a result of this the house’ edge almost doubles to 5.26%. 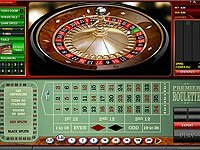 Most online casinos offer both the European and American Roulette with the American Roulette having less traffic than the European Roulette. The third version of Roulette is French Roulette; this game has 37 numbers just like the European version. This game includes the La Partage Rule that is used in some French land based casinos. When the 0 is called, the players get some relaxation if they have wagered on the even money bets. These bets include the Black or Red, Even or Odd and First 18 Numbers or Last 18 Numbers. For the players who have placed these wagers get half their wager back if the 0 is called, this decreases the house edge to even less than that in European Roulette and makes French Roulette the most complimentary online roulette game. Unluckily, not all online casinos offer the French Roulette. Regardless of the advantage with the house edge, French Roulette is not at all popular with the new Roulette players. There are two reasons behind this. The first reason is that the text on the layout is in French. The second reason is that layout is green in color for the background and is hard to tell the difference between the red and black numbers. As a result players find it real difficult to tell which numbers are red and which are black. 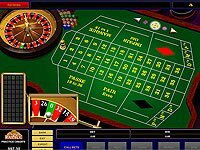 There is one variant of the game offered at some online casinos where players need to be aware as it has a wonderful packaging but a terrible house edge, this is called Mini Roulette. This game has 13 numbers that are the numbers 1 to 12 and 0. 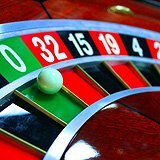 One out of thirteen numbers voids most bets compared to one out of thirty seven that European Roulette offers, the house edge is three times as high. One of the allurements that are offered is that there is no maximum wager limit. Even though this should be a good thing it’s still a big disadvantage because placing high wagers on a casino game with a high house edge would be a not so smart thing to do.